* required fields for commercial drivers. If "No", when were you last employed? If "yes", explain below if you wish to do so. All driver applicants to drive in interstate commerce must provide the following information on all employers during the preceding three years. For each, list complete mailing address, street number, city, state and zip code. Applicants to drive a commercial motor vehicle in intrastate or interstate commerce shall also provide an additional seven years of information on those employers for whom the applicant operated such vehicles.This includes vehicles having a GVWR of 26,001 pounds or more, vehicles designed to transport fifteen or more passengers, or any size vehicle used to transport hazardous materials in a quantity requiring placarding. List all of the accidents you have been in from the last three years. List all traffic convictions or forfeitures from the past three years. If "Yes" answered for either of the above, please explain below. Type of Equipment: (van, tank, flat, etc.) Approximate Miles: From: To: List states operated in during the last five years. List and describe special courses or training completed that will help you as a driver. What save driving awards do you hold and from whom? 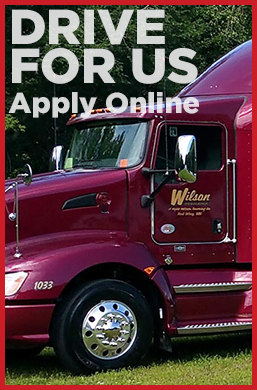 Please list any trucking, transportation or other experience that may help in your work for this company. List courses and training other than those shown elsewhere in this application. List any special equipment or technical materials you can work with (other than those already shown). If you have additional information no covered elsewhere, please save your information into a document and attach it here. 1. Attachments should be .DOC, .DOCX, .PDF, .RTF, or .TXT and not larger than 100k. 2. Make sure that your full name is in the file name -- e.g., "Work History - John Doe.doc". This certifies that this application was completed by me, and that all entries on it and information in it are true and complete to the best of my knowledge. I authorize you to make such investigations and inquiries of my personal, employment, financial or medical history and other related matters as may be necessary in arriving at an employment decision. (Generally, inquiries regarding medical history will be made only if and after a conditional offer of employment has been extended.) I hereby release employers, schools, health care providers and other persons from all liability in responding to inquiries and releasing information in connection with my application. In the event of employment, I understand that false or misleading information given in my application or interview(s) may result in discharge. I understand, also, that I am required to abide by all rules and regulations of the Company. I have read and understood the Applicant's Statement. In accordance with the provisions of Section 604(b)(2)(A) of the Fair Credit Reporting Act, Public Law 91-508, as amended by the Consumer Credit Reporting Act of 1996 (Title II, Subtitle D, Chapter 1, of Public Law 104-208), you are being informed that reports verifying your previous employment, previous drug and alcohol test results, and your driving record may be obtained on you for employment purposes. These reports are required by Sections 382.413, 391.23, and 391.25 of the Federal Motor Carrier Safety Regulations. I have read and understood the Fair Credit Reporting Act Disclosure Statement.